This entry was posted on November 21, 2011 at 10:18 pm and is filed under Uncategorized with tags intel 3945, intel 5300, intel 6250, Promiscuous mode, windows 7, x200s. You can follow any responses to this entry through the RSS 2.0 feed. You can leave a response, or trackback from your own site. Very interesting. What purpose does taping down the one pin on the card serve? In most laptops, the PCI-e slot has a hardware lock to prevent the use of unauthorized cards. You will run into this a lot if you put a newer card into an older computer. in the x200s, the WAN slot is locked. The other two slots were open, but I used those for other cards. Taping that pin prevents the system from knowing which device is connected at boot time. 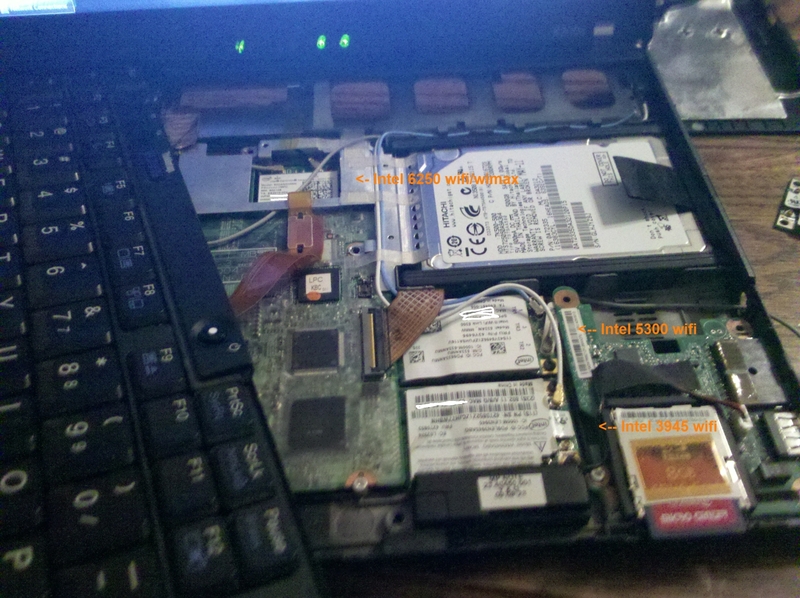 The downside is you also lose the status readout, so if your laptop has an LED to indicate wifi state, that will break.